The pristine beauty of New Zealand’s Bay of Islands surrounds you as the boat glides through the turquoise water, with the sails flapping gently in the wind. The shimmering surface of the water is broken by dorsal fins as these majestic dolphins rise, twirling and dancing to the surface. In a cloud of bubbles, you jump into the water and find yourself surrounded by these magnificent animals; swimming with dolphins, a truly once-in-a-lifetime experience on a Bay of Islands Tour. New Zealand’s North Island is a treasure trove of natural beauty, exciting outdoor activities, and stunning vistas. 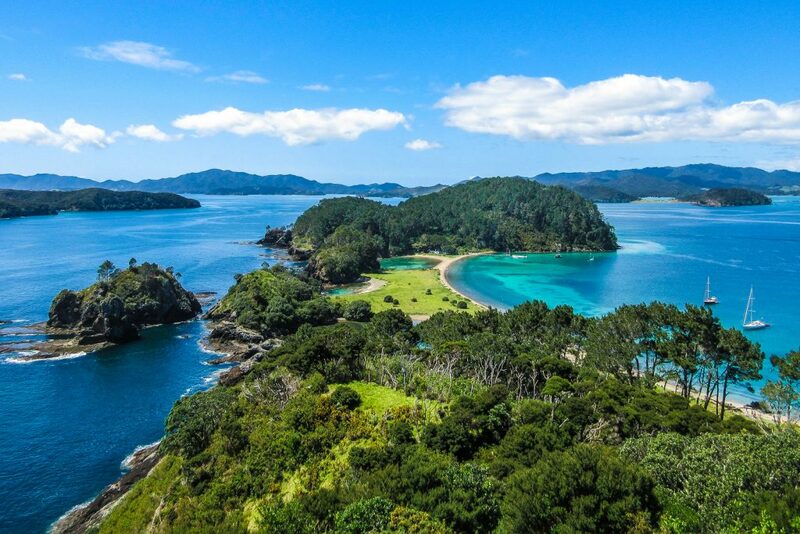 At its north-easternmost point, you will find the Bay of Islands New Zealand. 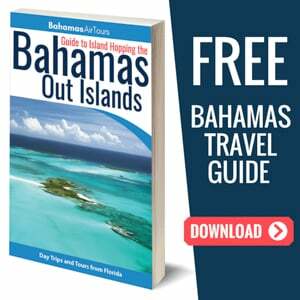 It consists of a collection of 144 islands dotted across the east coast. 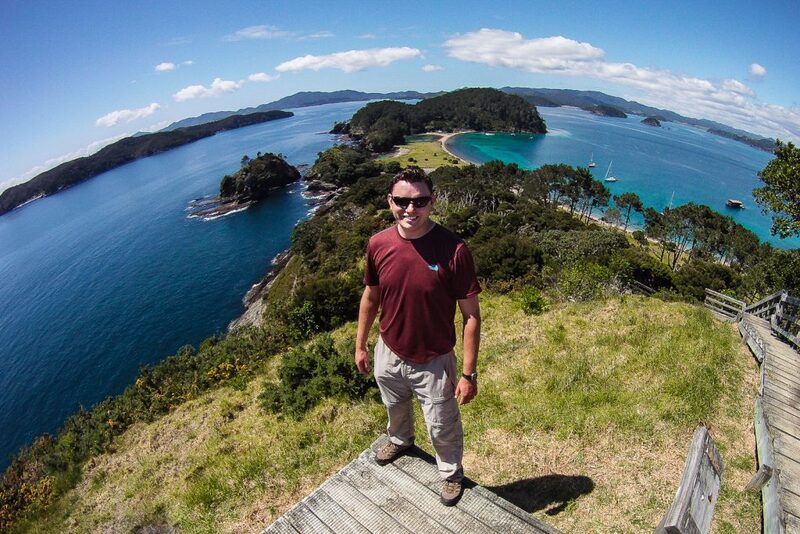 Join me as I explore this phenomenal bay on my epic journey across New Zealand. Paihia is the nearest town to this natural wonder and is where you will stay during your Bay of Islands tour. One of the main activities to enjoy while visiting is to tour the waters by boat and swim with the wild dolphins in the bay. 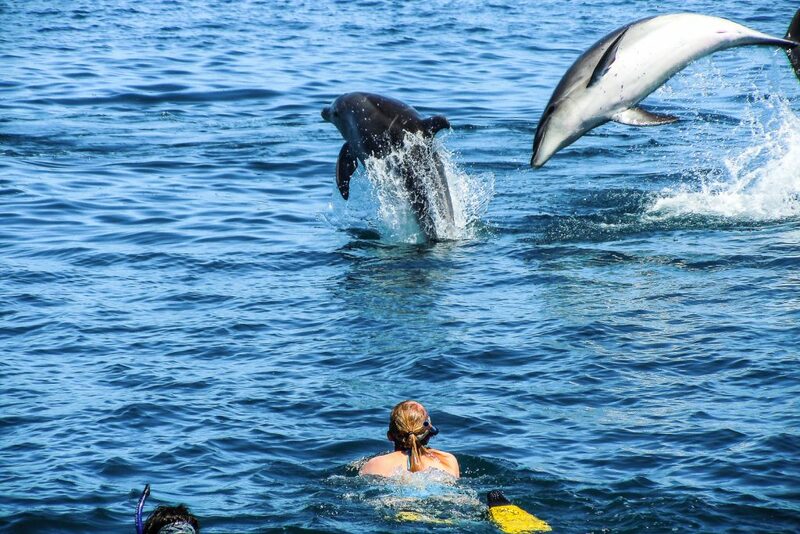 There are a number of different companies to choose from in Paihia, but only some are licensed to provide you with the opportunity to swim amongst these wonderful mammals. Dolphins are not the only wildlife you’ll have a chance to see during your visit. Seabirds, humpback whales and even orca (killer whales) can be spotted in and around this beautifully diverse bay. The Bay of Islands New Zealand is not only a significant site because of it’s beauty, it was also the landing point of one of the earliest European colonies and is the birthplace of the multicultural New Zealand that we know today. The warm, white sand runs between your toes as you walk alongside the turquoise shoreline. A soft breeze blows in from the ocean and you look up as a seabird settles into a tree’s upper branches. You make your way toward the water and dip your toes into the refreshingly cool wavelets that lap at the pristine beach. Bay of Islands New Zealand is found in an area called Northland, and even though it is one of New Zealand’s most popular tourist destinations, it also has a strong historical significance. This area was first inhabited by Polynesian settlers in the early 1200’s, who are now known as New Zealand’s Maori people. In the late 18th century, Captain James Cook arrived in the Bay of Islands and set up the first European settlement, which was a township called Russell. Having landed on inhabited soil, the Europeans were ordered to write up and sign the Treaty of Waitangi in 1840. This declared British sovereignty over New Zealand’s islands under the crown, whilst still reflecting ownership for the Maori inhabitants for their lands and properties. New Zealand has since developed from this event and become a thriving multicultural country. The Bay of Islands is the birthplace of modern-day New Zealand. The country now offers tourists a range of diverse and exciting activities to take part in. From adventurous activities such as scuba diving, snorkelling and even kayaking, to relaxing tours of the landscape including wine tasting and food tours of North Island, there is more than enough to do. A favourite with both overseas and domestic visitors alike, the Bay offers beautiful sub-tropical deserted beaches, great sailing and boating opportunities and of course the chance to see an incredible array of sea life, including dolphins, whales, penguins and gannets. The warm summer months are certainly the peak for visitors. While this may be one of the best times of year for weather, the townships in the surrounding area can become overcrowded. If you would like a quieter visit, be sure to avoid the peak season. If exploring New Zealand’s North Island intrigues you, and ignites the undeniable wanderlust to travel, then read more about this incredible country and all that it has to offer. Late February and early March is possibly our favourite time in the Bay, the water has warmed up nicely, for the most part the weather is still very agreeable and the small townships are less crowded and more relaxed. Your Bay of Islands tour will not only consist of enjoying the sights by sea. 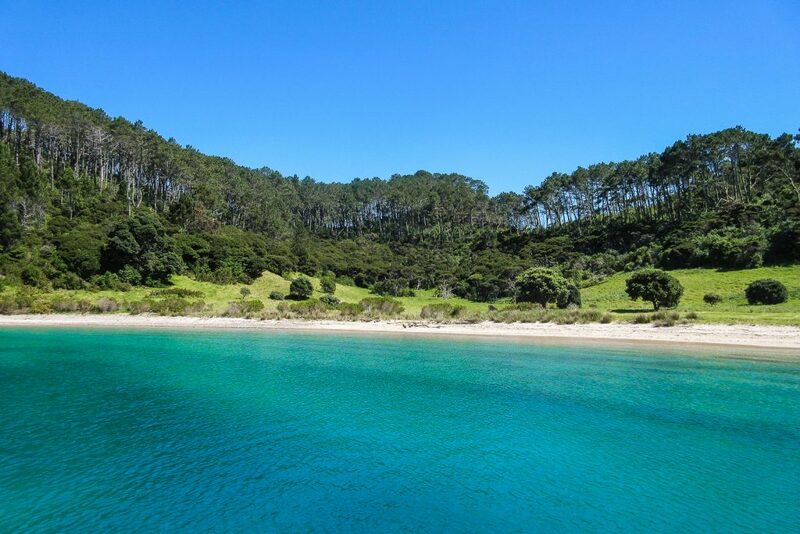 You will also have a chance to stop off at one of Northland’s most exquisite islands. Roberton Island will greet you with a beautiful collage of white sandy beaches, cool water and lush rainforests. After an uphill walk alongside the cliff face on a wooden staircase, you will find yourself faced with a jaw-dropping panoramic view of the Bay of Islands. From this fantastic viewpoint, you will be able to see all the islands and boats dotted across the mesmerising blue waters. The island itself is named after John Roberton, who purchased it in 1839 from one of the Maori chiefs. Unfortunately, his time on the island did not last long, as only a year later he was killed in a tragic boating accident. There is no doubt that aside from swimming with dolphins, this island is one of the main highlights of the tour. To walk along these un-spoilt beaches and immerse yourself in the beauty of New Zealand’s magnificent nature is an opportunity of a lifetime. 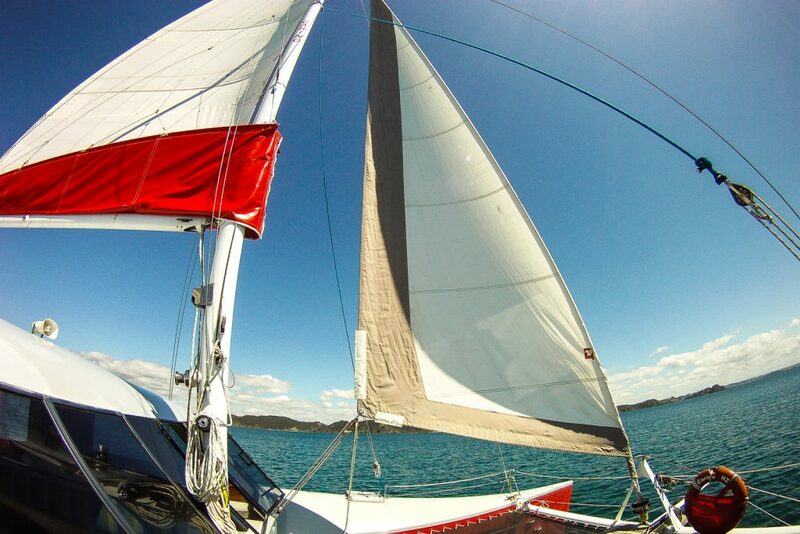 The experience of sailing Bay of Islands is something that you simply should not miss. The view of rolling hills coated with mottled green rainforests which flow toward rocky cliffs and white sandy beaches is truly picture perfect. One glance in any direction will make you feel as if this scene has been pulled directly out of a brochure, with sights so pristinely beautiful they may be hard to believe at first. Choosing the right company to sail with is very important. 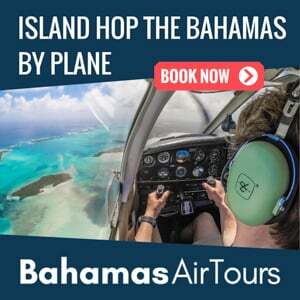 Since only a few of them are certified to allow you to swim with dolphins, and fewer still are as experienced as others, your choice could change the entire experience of your Bay of islands tour. I sailed with skipper Vanessa Mckay on the catamaran Carino. This is a family run business with years of experience and one of the most naturally immersive offers. You’ll sit aboard the 50ft catamaran and enjoy the excellent viewing platform, which gives you the perfect vantage point for marine mammal sightings. As the only sailing vessel with a Department of Conservation permit to interact with marine mammals we are able to provide the experience of both sailing through the gorgeous Bay of Islands and hopefully viewing and possibly even swimming with dolphins. The tour will not only take you through these glorious waters to see dolphins but conditions allowing, the opportunity to swim with dolphins; a once-in-a-lifetime bucket list experience. You’ll also be treated to a delicious BBQ lunch on board the Carino as you sit back and enjoy the ambient beauty of this coastal paradise. While bad weather may not worry the dolphins at all, it can become difficult to locate them in rough and choppy sea conditions. Rain can also be problematic, not only does it reduce visibility quite significantly, it puts a dampener on the island exploration time. A tall, hooked dorsal fin pierces the water’s glittering surface beside the boat and you watch as a bottlenose dolphin breaches. Within seconds you spot more dolphins rising to the top, twirling and dancing around one another. Looking curiously on wards you notice that many of the fins are travelling in pairs through this clear, underwater wonderland. 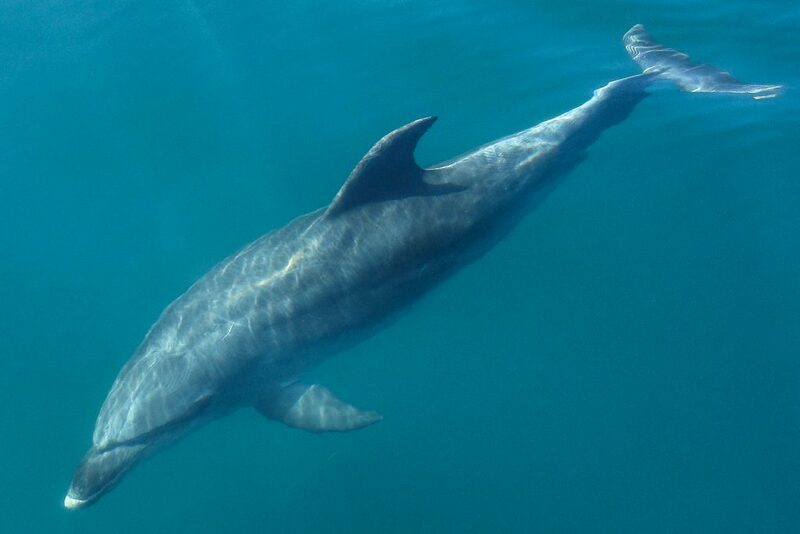 The bottlenose dolphin has very precise senses which allow it to recognise each individual boat in the water. This means that they remember each tour boat, and will follow the ones that are most familiar to them. 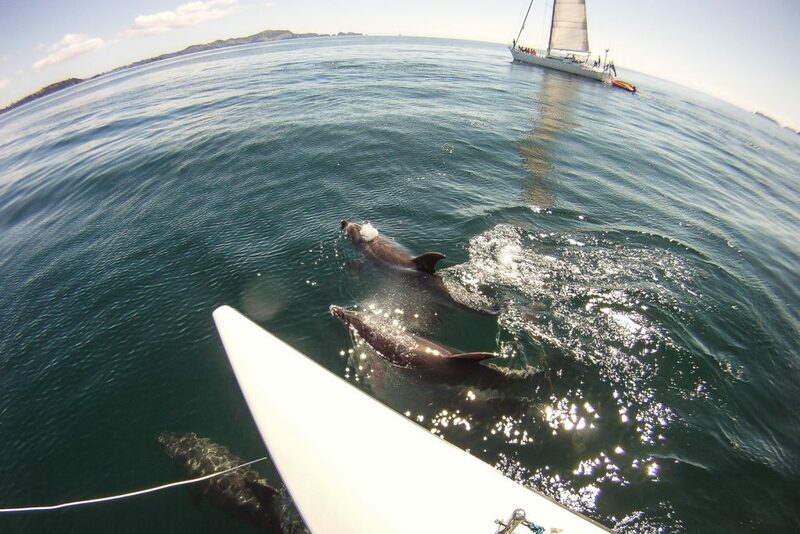 Since the Carino catamaran has explored these waters for years, the dolphins tend to surround this boat in particular. Standing on the boat in the heat of the sun and the clarity of the day while you watch dolphins play beside you is a one-of-a-kind, immersive experience. 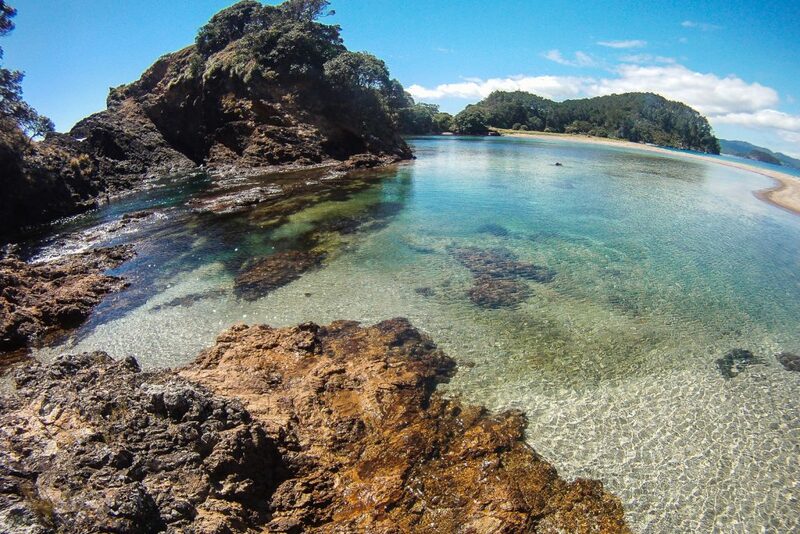 This also happens to be the main reason that many people visit the Bay of Islands New Zealand. To watch these wild animals in their natural habitat without the need for bars or glass is incomparable to visiting a zoo or aquarium. Being on a catamaran is particularly special when it comes to viewing these dolphins because you are much closer to the water than most other boats. You have far better visibility around the boat, allowing you to view these marvellous creatures and take some spectacular pictures. Of the 13 different species of dolphin along the New Zealand coastline, the bottlenose dolphin is the most common. Bay of Islands plays host to 450 individual dolphins, providing a truly excellent habitat for them to live and thrive. They have a dark or light grey colouring to them and can grow up to 4 metres in length. Each pod has on average 15 dolphins. Females can live up to 50 years, whereas males tend to only live as long as 45 years. While it may be exciting to see a mother with her calf, this will mean that you won’t be able to swim with the dolphins. Just like any other wild animal, once they have their young with them, they are unpredictable and could view you as a potential threat to their calf. 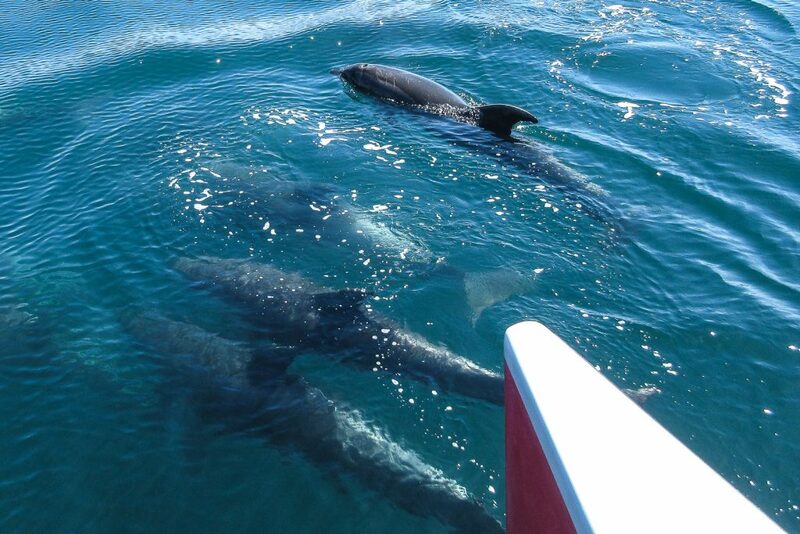 A Bay of Islands tour would be incomplete without a sighting of these delightful mammals. Swimming with them, however, is the main attraction. When the weather is right, the ocean is calm and the dolphins are willing, you will have the chance to slip into the water beside these wild animals and immerse yourself in their world. 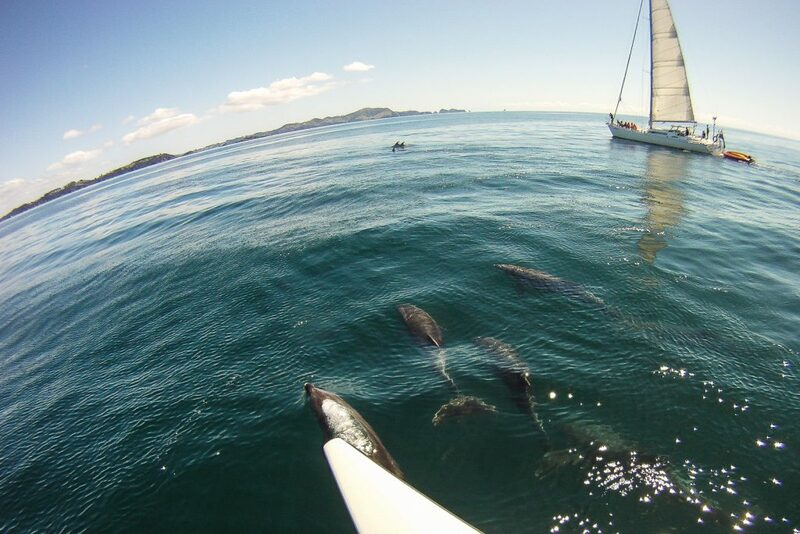 The experience of swimming amongst these dolphins is so truly unique it will be a truly cherished memory of your trip to the Bay of Islands New Zealand. Our interactions with the dolphins are very strictly controlled and regulated by the Department of Conservation (DOC). DOC states that if the dolphins are resting, feeding or if they have babies within the pod, then we are not allowed to swim. The single most important factor to take into account when deciding whether you will be able to swim is the dolphins themselves. Unless they show a willingness to interact with you and the rest of the tour group, you won’t be allowed to get into the water. The welfare and conservation of these beautiful animals is priority number one. We as humans are guests in these waters and need to respect the dolphins in their natural habitat. To enjoy a positive and memorable swim with dolphins, it is important that you are a strong and confident swimmer. One of the main requirements for taking part in this activity is that you need to be a strong swimmer. Not only will you be swimming through the open ocean, but it will also be very cold water, draining your energy further. On top of all this, the dolphins themselves are constantly moving, which means that you will need to move just as much. If this does not phase you then get ready for an experience unlike any other. To ensure you truly do make the most of this experience, you can prepare yourself by becoming familiar with using a mask and snorkel before you visit the Bay of Islands. 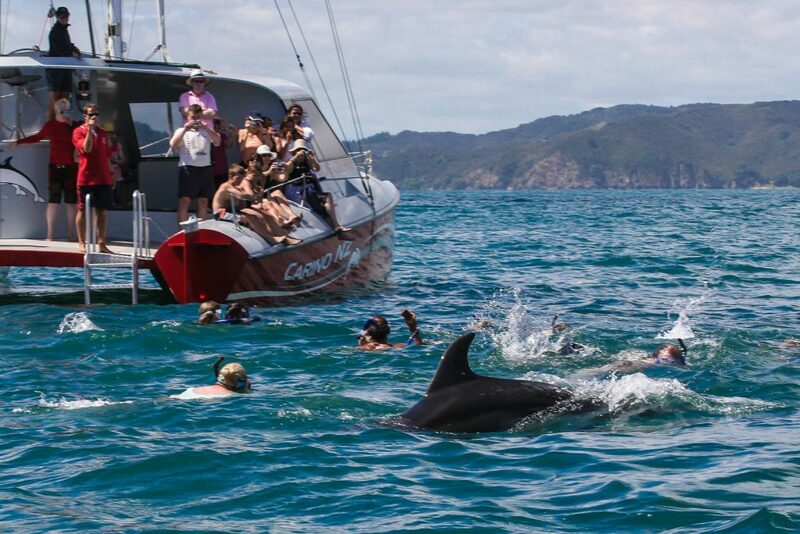 As the modern world continues to expand and develop, experiences such as swimming with dolphins in New Zealand’s Bay of Islands become less and less available. To leave everything behind and swim alongside wild animals in their natural habitat reminds you of all that life has to offer. 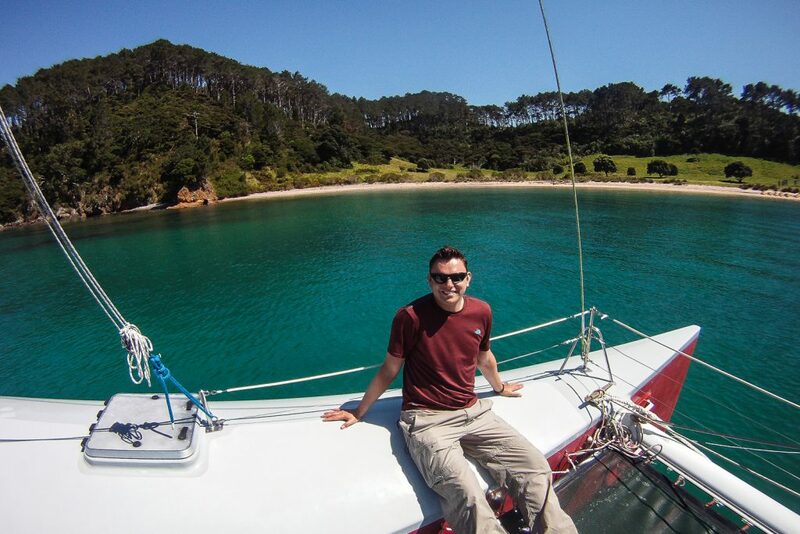 Sailing Bay of Islands is just as immersive, losing yourself in the wonder of nature is something that everyone should experience in their lifetime, so why not here, at the Bay of Islands on New Zealand’s magnificent North Island. Touring an unfamiliar country can be difficult, particularly planning your itinerary. If you’d like to read in-depth about travelling across New Zealand, complete with interactive maps and detailed itineraries then be sure to take a look at my New Zealand guide! Read about things to do in North Island New Zealand. What a brilliantly informative read that was!! It has pushed New Zealand a lot higher up the list of places I want to visit, so thank you! Thanks Chloe, checkout my top 10 things to do in New Zealand or itineraries if you want more NZ travel inspiration! 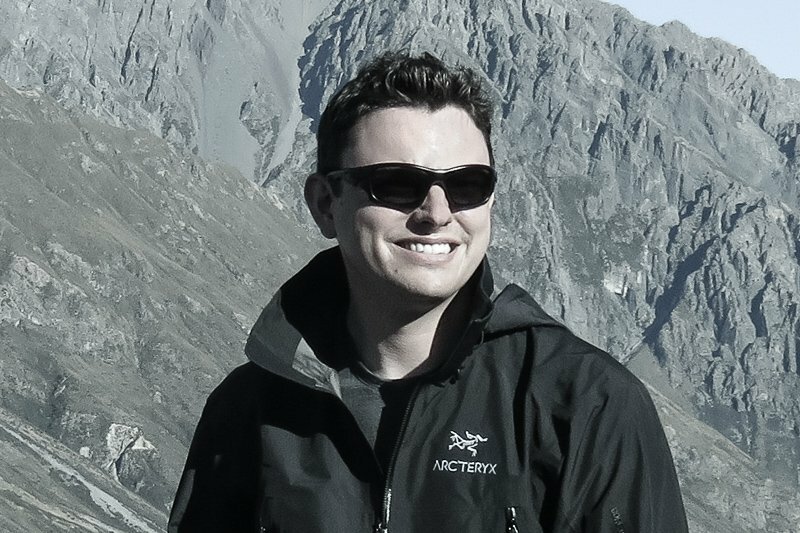 Excellent article Mark! I’m headed to NZ next month and now have a better idea of where I want to go on the North Island! Thanks, be sure to checkout my Top 10 things to do in North Island then! Great read and sweet photos Mark. I love the Bay of Islands. Need to get back there soon! Yeah one of my favourite places in the North Island!